This integration fully automates affiliate commissions for sales with WooCommerce. This integration synchronizes the referral and order status automatically. Affiliates WooCommerce Integration. It can be installed through the Dashboard, under Affiliates > Settings > Integrations. Install these, set up your shop, decide how much you want to pay your affiliates and start selling. The integration is basically setup-free, just make sure to have at least a general rate defined in the Rates section so that commissions are calculated appropriately. You can set highly flexible referral rates for products with advanced options. Please refer to the Rates section for details. To review the integration-specific settings for WooCommerce, go to Affiliates > WooCommerce Integration on your WordPress dashboard where you will find settings related to synchronization and recurring referrals. 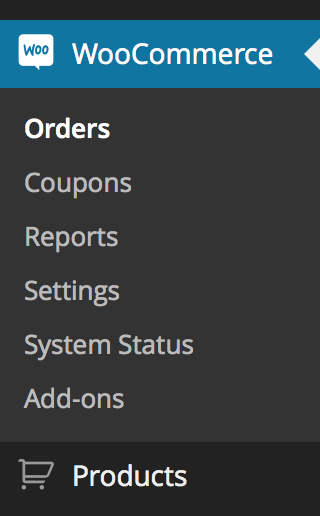 This section offers settings related to the synchronization of orders and referrals. Auto-adjust referral status when an order is cancelled. Auto-adjust referral status when an order is completed. Auto-adjust referral status when an order has failed. Auto-adjust referral status when an order is put on hold. Auto-adjust referral status when an order is set to pending. Auto-adjust referral status when an order is processing. The order will automatically be marked as pending or accepted unless they are closed. Auto-adjust referral status when an order is refunded. You can credit referrals on recurring payment to the affiliate who referred the initial order when this option is enabled. This option works with subscriptions provided by the WooCommerce Subscriptions plugin. A referral for the original order must exist and must not have been rejected. If the Limit/Timeout is set to 0, there is no time limit for referrals on recurring payments granted to the initial affiliate. Any other number will limit new referrals for a subscription to so many days after the initial referral. Notes on Legacy Product Rates – these are not recommended. Use Rates wherever possible. This legacy method to handle product rates is available when Rates are not used to calculate commissions. In that case, you would have to enable product rates under Affiliates > WooCommerce Integration > Product rates. To set the rate when editing a product go to Products > Product Data and click the Affiliates tab to access the options. Important: Note that you must choose the Affiliates_WC_Method::product_rates method under Affiliates > Settings > Commissions for product rates to be applied in general, or specify that method as an attribute for individual affiliates – otherwise the product rates will not apply. The default rate is used when no specific product rate applies. Important: If you do not set a default rate and no product rate applies, the resulting referral amount for an order will be zero.